A sandwich is a favorite meal for many, but which one is the healthiest? Are there some we shouldn't be eating? Today, I’m going to rank the most popular sandwiches — from healthy to the most unhealthy. But first, let’s talk about bread, the foundation of every sandwich. White flour, which is used to make white bread — is the absolute worst, since the bleaching process that it undergoes strips away all of the nutrients. Consuming white bread can cause a spike in blood sugar, weight gain, and inflammation. Whole-grain bread, on the other hand, is a much better choice. It’s loaded with fiber, healthy plant-based protein, vitamins, minerals and a variety of phytochemicals that help to improve digestion, reduce inflammation and lower cholesterol. Whole-grain bread also contains lactic acid, which promotes the growth of ‘good bacteria’ in the intestines. Rye bread is another healthy option. Research published in the Nutrition Journal shows that rye bread can help decrease hunger for up to eight hours. Another study published in PLOS Medicine found that whole-grain rye toast lessens blood sugar surges. If you are gluten sensitive, eat sourdough. It utilizes natural fermentation, which breaks down the gluten. 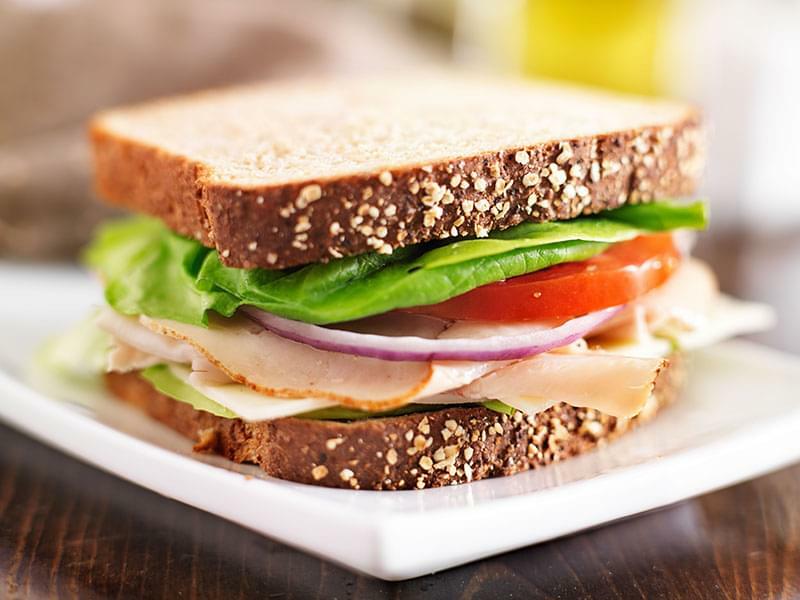 Turkey Sandwich comes in at #1 for the most healthy. Turkey contains less fat than most other meats and is rich in protein and potassium, needed for strong muscles. It gives us needed zinc, which supports a healthy immune system and niacin, which helps lower cholesterol. Turkey also contains tryptophan, which helps support healthy levels of serotonin, our ‘good mood’ chemical. It’s best to go with pasture-raised turkey if possible because it provides more heart-healthy omega-3 fatty acids than factory-farmed turkey. Adding cheese to your lean turkey sandwich, however, can add a lot of fat and calories. For example, two slices of cheddar contain a whopping 226 calories and 18 grams of fat — not to mention, most cheese is loaded with sodium. To cut down on calories and fat, go with low-fat mozzarella, Swiss cheese or goat cheese. I prefer goat cheese on my turkey sandwiches. Its creamy flavor goes great with turkey and only adds 103 calories per ounce. Add some healthy lettuce, tomatoes and onions, and you have a grand slam healthy sandwich. My number two pick for the healthiest sandwich is egg salad. For decades we’ve been told that eggs contribute to high cholesterol and heart disease. The truth is, eggs are a nutritional super food! Eggs contain lecithin which actually helps lower cholesterol levels and protects against heart disease. In my book Food Sanity, I go into the history on why eggs have gotten such a bad reputation. Eggs are a wonderful source of protein and healthy fat (polyunsaturated and monounsaturated). One egg contains 6 grams of high-quality protein, as well as all nine essential amino acids, and is one of the few foods that contain naturally occurring vitamin D. When it comes to egg salad, hold the mayo! Just two tablespoons pack on 188 calories and 20 grams of fat. To make your egg salad healthier, opt for nonfat yogurt or avocado. Tuna is a rich source of vitamins B-12, B-6 and niacin. Niacin metabolizes carbohydrates, proteins, and fats into energy. Vitamins B-6 and B-12 remove the amino acid homocysteine from the bloodstream, which is beneficial because high levels of homocysteine are associated with an increased risk of cardiovascular disease. Tuna gives us 80% of our daily recommended amount of selenium, which research shows may help prevent cancer. It’s also high in omega-3 fatty acids, which is important for heart health and brain function. Three ounces of canned tuna only contains 108 calories. Add some chopped celery to your tuna salad for added fiber. It also helps support a healthy immune system. Unfortunately, the fear of mercury is doing to tuna what the fear of cholesterol once did to eggs. 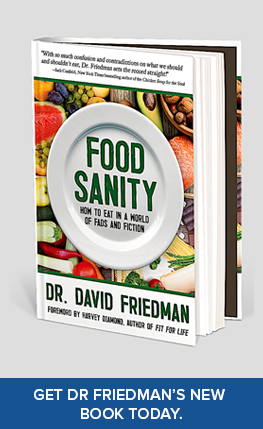 It’s way over exaggerated and I debunk the “mercury fish farce” in my book Food Sanity. However, if developing mercury toxicity is a concern, go with Safe Catch brand of tuna. 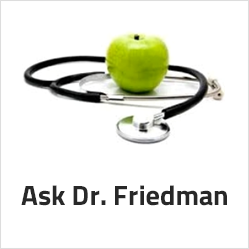 Their allowable limit for mercury is ten times stricter than the FDA’s mercury limit. Or, go with skipjack or Tongol (labeled “chunk light”), which is the smallest tuna with the least amount of mercury. Albacore has the highest level of mercury. Swap Greek yogurt or avocado for the mayonnaise or you can go with low-calorie rice vinegar, which is what I use to make mine. It helps aid with digestive health and supports a healthy liver. We loved them as a kid but peanut butter and jelly sandwiches can actually be quite healthy at any age. Peanut butter is a great source of protein, B vitamins, iron, and zinc. Peanut butter is also a good choice for healthy unsaturated fat and will keep you full for hours. Because peanut crops are highly sprayed with pesticides, it’s best to use certified organic peanut butter. Also, avoid peanut butter with a bunch of added oils or sugar. There should only be two ingredients: peanuts and salt. If you have an allergy to peanuts, use almond or cashew butter. 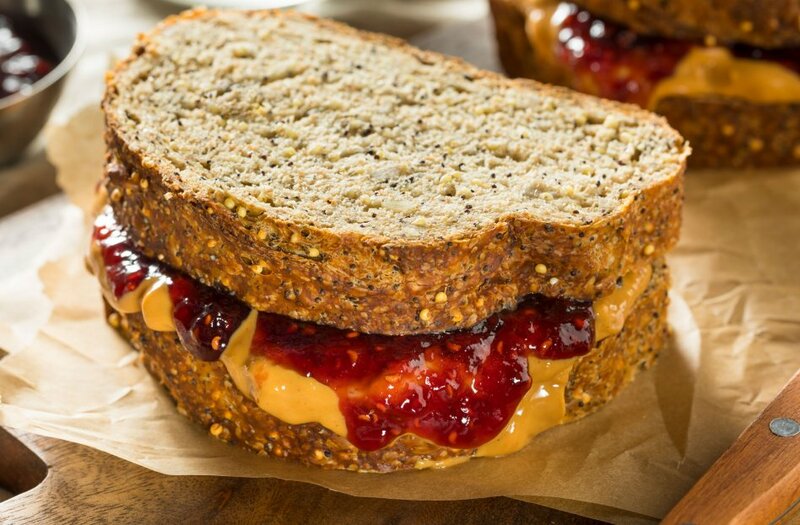 For a healthier PBJ, use jam instead of jelly. Jam won’t spike your blood sugar as much as jelly because it contains the whole fruit, which helps to buffer the glycemic load (how quickly sugar enters your bloodstream.) If you’re not fond of jam, use honey. Raw honey is loaded with vitamins, enzymes and powerful antioxidants. The combination of peanut butter and honey tastes amazing. Bacon is the worst offender when it comes to processed meat. It contains a lot of saturated fat, which increases the risk of heart disease and stroke. Most bacon contains nitrates, which are preservatives that can lead to bloating, hypertension, inflammation, cell damage, and joint problems. With that said, why am I not ranking a BLT lower on my list of healthy sandwiches? Because you can substitute pork bacon with turkey bacon. Just doing that cuts 80 calories and turkey is a healthier choice. The other two ingredients of the BLT also keep it higher on my list. Tomatoes are a great source of the antioxidant lycopene, which has been linked to many health benefits, including reduced risk of heart disease and cancer. 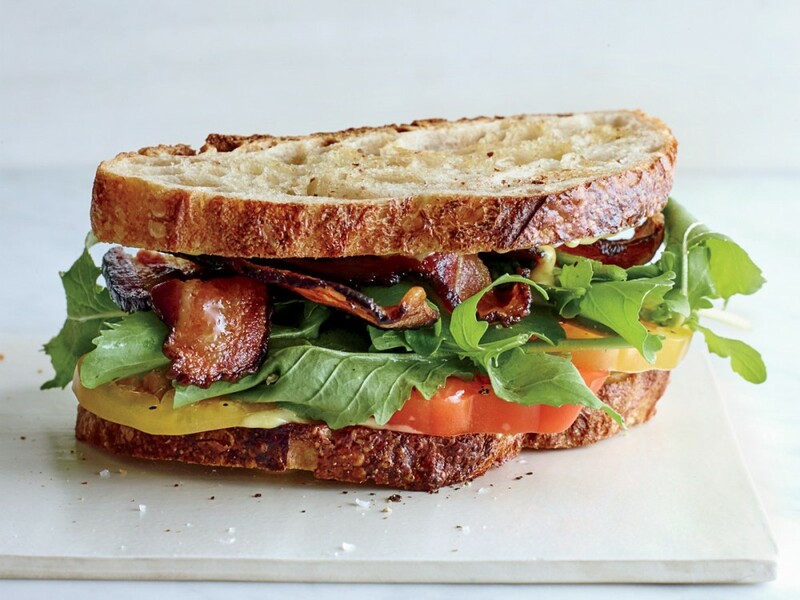 Tomatoes are also a great source of vitamin C, potassium, folate, and vitamin K. The lettuce of a BLT offers healthy fiber and provides calcium, potassium, and vitamin C.
The traditional grilled cheese sandwich is made with American cheese. Unfortunately, two slices contain 220 calories (90 of them from fat,) 12 grams of saturated fat and 360 mg of sodium! The key is going with a less fattening cheese like Swiss, goat cheese, low-fat mozzarella or vegan cheese. Add tomatoes to your grilled cheese and you’ll get the heart-healthy benefits of lycopene. 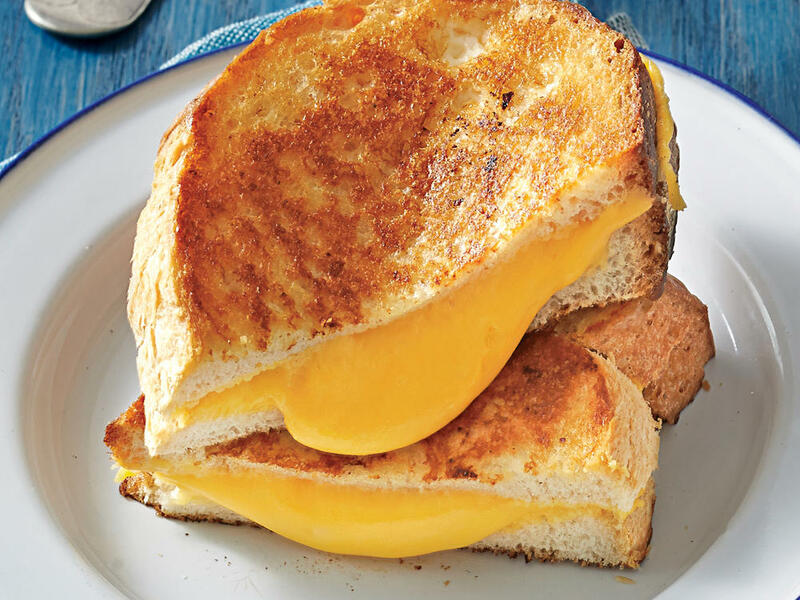 When making your grilled cheese, I recommend using something besides butter. There’s an ongoing butter debate and some health experts now believe consuming butter is healthy. I’m not one of them. I avoid butter because it contains lactose and the protein called casein, which has been linked to causing inflammation in the body. You’re better off using ghee, aka clarified butter, which is lactose-free. Ghee is also a better option than butter if you have allergies or sensitivities to dairy products. You can also use extra virgin olive oil or avocado oil. Ham isn’t the healthiest meat option because it falls into the “processed meat” category. Research published in PLOS Medicine found that eating ham may increase your risk for colon and lung cancer. Ham is also high in sodium. An average sized ham sandwich contains 1000 milligrams of sodium. Ham is also quite high in calories. Just one thin slice, weighing just 24 grams, contains 46 calories, a good portion of that coming from unhealthy fat. 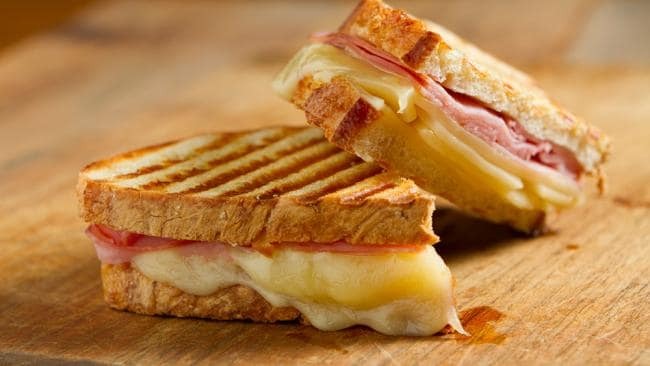 If you have a hankering for a ham and cheese sandwich, the healthiest choice is low sodium, baked ham that isn’t cured and contains no nitrates. This sandwich comes in second to the last place as the most unhealthy sandwich. If you eat this one for lunch, you better loosen your belt! 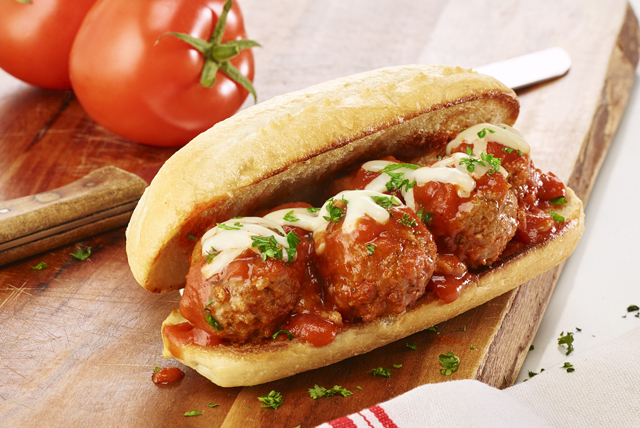 A Subway 12-inch meatball marinara sub has 1,160 calories! If you decide to have one for lunch, you will have to jog 12 ½ miles to burn off those calories! 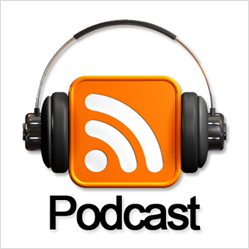 Meatballs are made with ground beef or a mix of ground beef and pork. They are high in fat and sodium. If you’re making this sandwich at home, try it with ground turkey for a much more healthier and leaner option. If you want to go with the ground beef variety, make sure the beef is grass fed, and USDA certified organic, which means it doesn’t contain hormones or antibiotics. As for the mozzarella cheese, opt for the reduced fat variety or try vegan mozzarella cheese. This tasty Philadelphia favorite ranks as my pick for the most unhealthy sandwich. It's high in calories, and loaded with grease, salt and fat! 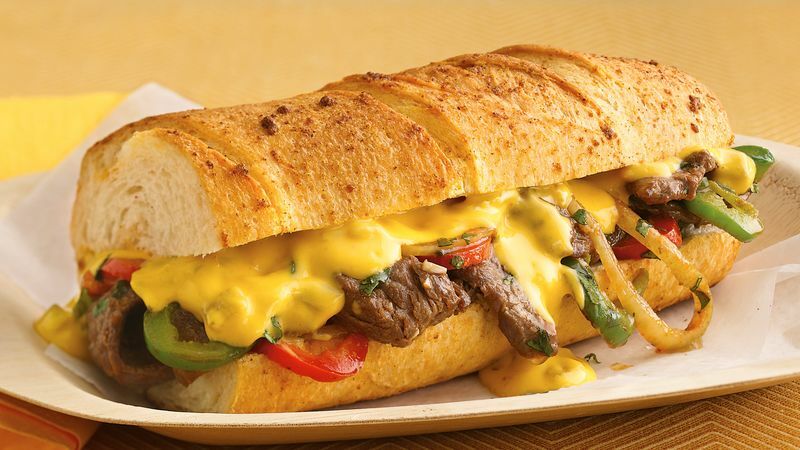 A 12-inch cheese steak with provolone, peppers, onions, and mushrooms packs a whopping 1,278 calories and 27.5 grams of saturated fat — that’s not including the greasy fries that often come with it (add another 364 calories). You’d have to do approximately 1,500 vigorous jumping jacks to burn all that off, but I bet you’d have a hard time doing any after eating this giant brickwich. A Philly cheese steak also contains 1,480 milligrams of salt — the kind that makes the cardiologist put paddles on your chest and shout, ‘CLEAR! If this sandwich doesn’t give you a heart attack, you’re more likely to get heartburn than from any other sandwich. I recommend washing it down with some Alka Seltzer. I could share some tips on picking the healthiest steak choices and low-calorie cheese substitutes for this sandwich, but I’d risk losing my friends from Philly. Enjoy this sandwich as an occasional indulgence and eat it at your own risk. Whatever sandwich you consume, go easy on the condiments if you’re watching your weight. Commercially prepared ketchup is extremely high in high-fructose corn syrup, which has been linked to causing obesity. Mayonnaise is the worst condiment. 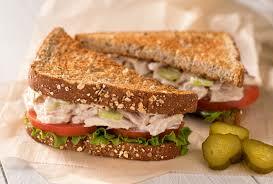 Just two tablespoons of mayonnaise add 190 calories, 175 milligrams of sodium and 22 grams of fat to your sandwich. Instead, reach for mustard: A 1.5-teaspoon serving of yellow mustard contains virtually no sugar and only adds five calories to your sandwich. Extra virgin olive oil and balsamic vinegar, is also a low calorie and healthier option.